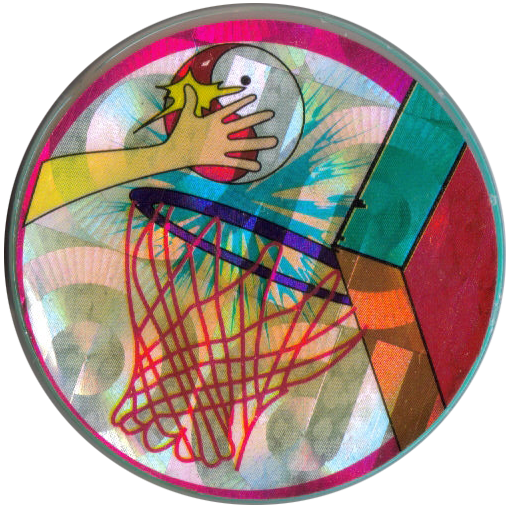 Info:This slammer is made from transparent plastic with a design printed on a holographic foil sticker on the front. On the back it has the text 'Made in Taiwan' embossed in the plastic. 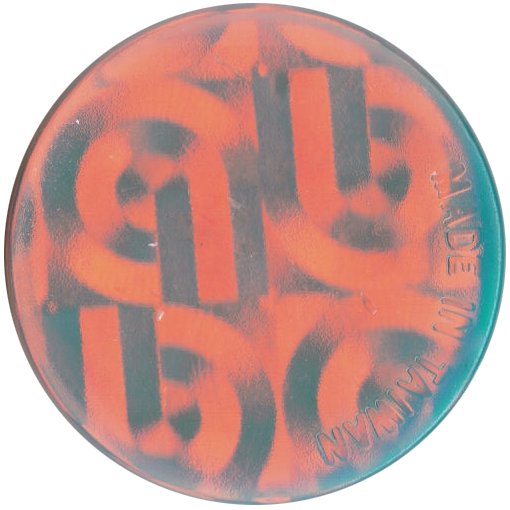 Unlike the other Made in Taiwan Transparent Slammers, which have the 'Made in Taiwan' text written in a line across the middle, this slammer has the text written along the edge, following the curve of the slammer's edge. Thanks to Silke for the scans of this slammer.